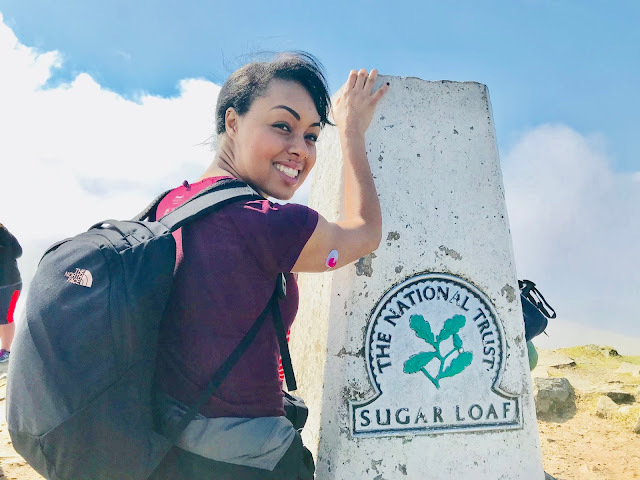 Training To Summit Mount Snowdon | Life, Sport and Diabetes - An everyday look at my life with type 1 diabetes. On June 12th I plan to climb Mount Snowdon with my family, the highest mountain in Wales and England. I've never done anything like this before so I wanted to prepare, as much as I could in terms of fitness levels and of course diabetes. 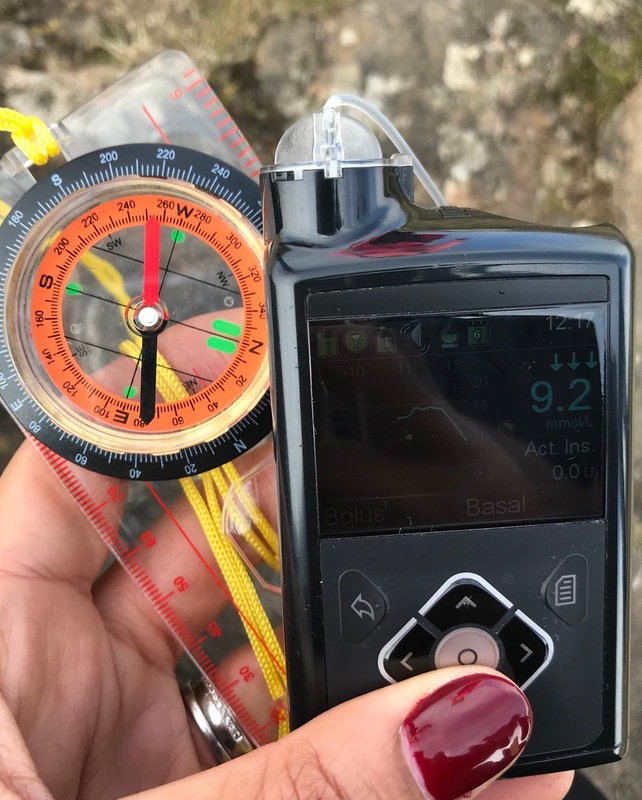 As a person with diabetes, the training element was particularly important to me, because despite having a base level of fitness, I've always found prolonged exercise such as walking a challenge to managing my diabetes due to the potentially unknown duration and varying intensity of the activity. 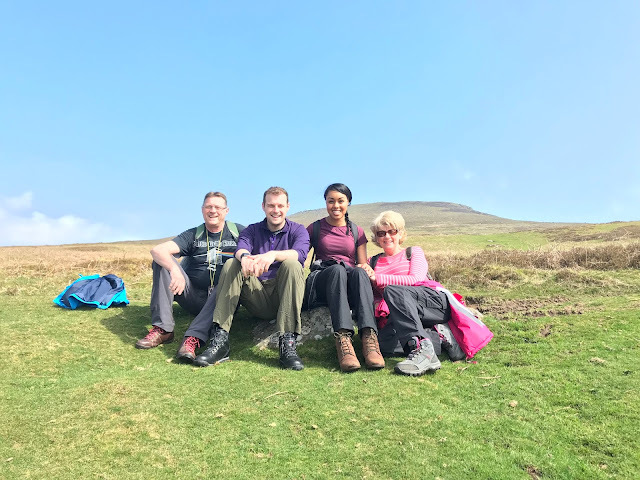 So we did a range of training walks in preparation, from Sugar Loaf mount in Abergavenny which was flat and then steep, to the winding streets of St Ives in Cornwall. What the training walks taught me was that an extreme temporary basal (reduction in my background insulin in my pump) wasn't going to cut it, as the last thing I wanted was to end up with high glucose levels after the walk. This meant finding balance between a moderately reduced basal and glucose top-ups when I needed them. CGM was a big help during the walking training, as I found it behaved accurately in reflecting my levels during the walks, which also meant I could see the impact of the basal changes I was making. During the Sugar Loaf Mountain summit, which only took about 3-4 hours, I reflected that I hadn't taken enough water and snacks with me as I would have liked and would need to for the big walk. The practice walks were also a good opportunity to test out my walking clothing and footwear because I remembered from climbing Pen-y-Fan a few years back, that the weather can change really quickly, so layering seemed like a good way to go. 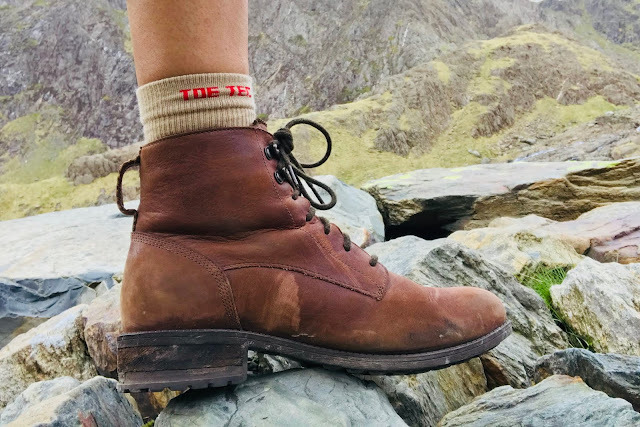 I got myself proper walking boots that supported my ankles well, as the terrain is set to be quite uneven for Snowdon. I carried my insulin pump in my walking trouser pocket for easy access initially and I wore my Toe Tec socks throughout my training walks as that's what I plan to wear for the big event. I did try different styles between the short and long ankle options, finding that the longer style gave more coverage. I also chose the Half Plush socks for additional padding on the sole and around the toes to ensure I wouldn't get blisters whilst out on the walk. This blog was kindly sponsored by the team at Reed Medical/ Toe Tec with thanks.